What do Wise Men Fear? BIG NEWS | A Dance With Dragons has a pub date! Eddie LaCrosse, the hero of my new novel Dark Jenny, may carry a sword instead of a gun, and be called a "sword jockey" and not a "private eye," but at the core he's a detective. His job description: stop the bad guys (and gals), save the good guys (and gals), and earn the gold. This book (and the preceding two) draw equally from fantasy and detective influences, but here I'm dealing strictly with the shamus line. It all begins with Dashiell Hammett and his Continental Op. Hammett, the undisputed father of tough detective fiction, "gave murder back to the kind of people that commit it for reasons," according to later master Raymond Chandler. His nameless hero, an operative for the Continental Detective Agency, appeared in a series of novels and short stories (Red Harvest is a good starting point). Unlike the then-prevailing trends in the mystery genre (epitomized by Agatha Christie and what we now call "cozy" mysteries), Hammet's stories were lurid and brutal, and his hero was definitely no saint. He was as tough as the bad guys he pursued, and often just as malicious. His goal was not justice, but his paycheck. The Continental Op gave way to Philip Marlowe, the undisputed king of private eyes. The best description comes from his creator, Raymond Chandler, in his essay The Simple Art of Murder: "Down these mean streets a man must go who is not himself mean, who is neither tarnished nor afraid. The detective must be a complete man and a common man and yet an unusual man. He must be, to use a rather weathered phrase, a man of honor. He talks as the man of his age talks, that is, with rude wit, a lively sense of the grotesque, a disgust for sham, and a contempt for pettiness." Farewell, My Lovely is his acknowledged Marlowe masterpiece, but my favorite is The Long Goodbye. 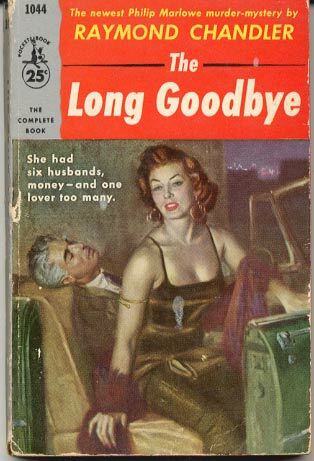 Post-Marlowe, the next significant character was Ross Macdonald's Lew Archer. Unlike the Op and Marlowe, Archer was never above his cases. No matter how hard he tried, his emotions and empathy always drew him in, so that every case was personal. This was a fundamental change in the overall idea of the aloof private eye, and The Doomsters is where this concept really takes hold. What Archer lacked, however, was a real sense of humor. 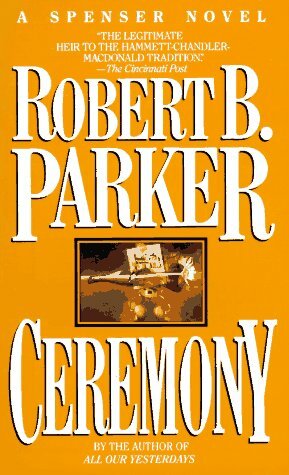 For that we go to Robert B. Parker's Spenser (he has a first name, but it's never mentioned). In many ways, he's the culmination of this private eye chain. He has the Continental Op's toughness, Philip Marlowe's wry perspective, and Lew Archer's empathy. And he's much funnier. An example: in my favorite Spenser novel, Ceremony, after disarming the same thugs for the third time, he tells them, "Next time it might be easier if you just mail me your guns." And then there's my guy, Eddie LaCrosse. I make no claim that he's the equal of these other literary giants, but they're the fence I was swinging for when I created him. He's tough, sarcastic, and empathetic; I hope he's also funny and memorable, but that's for the reader to decide. 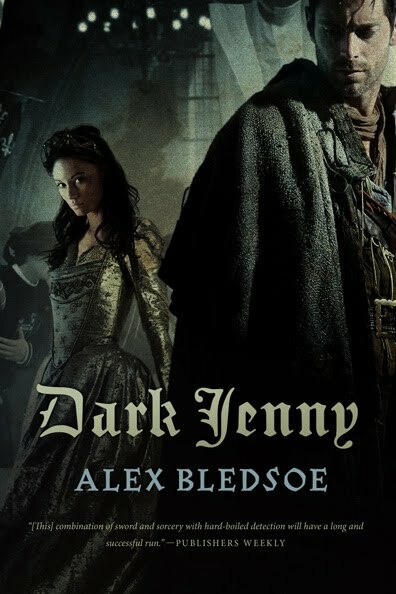 And if you enjoy Dark Jenny and Eddie's other adventures in a world of swords, armor and down-and-dirty magic, you might also enjoy these past masters, who wrote about the mean streets of their own worlds. Great books, Great post! :o) Yay, Alex! Great post, very well said. will definitely check it out in the future. Hi. Found your blog today while looking for an image of Bite Me by Christopher Moore. :) I'm now following. Stop by my blog if you get the chance.